A super easy and flavorful salmon dish chockfull of heart-healthy protein, vitamin A and omega-3 fatty acids! So let’s talk salmon. Salmon is absolutely one of my favorite kinds of fish. It’s so versatile, so hearty, and so full of protein, vitamin A, and omega fatty acids, which are essential to the proper functioning of the heart and brain. 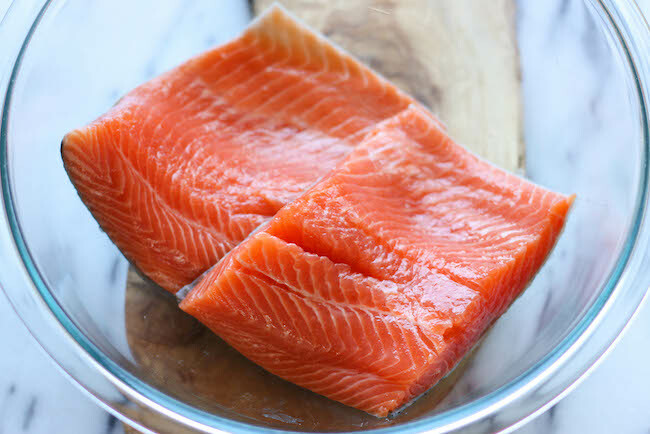 I’m obviously not a salmon ambassador or anything – I just really like it, and when you prepare it with the right ingredients, you’ll have a hearty, healthy dish on your table in no time that your family will love! 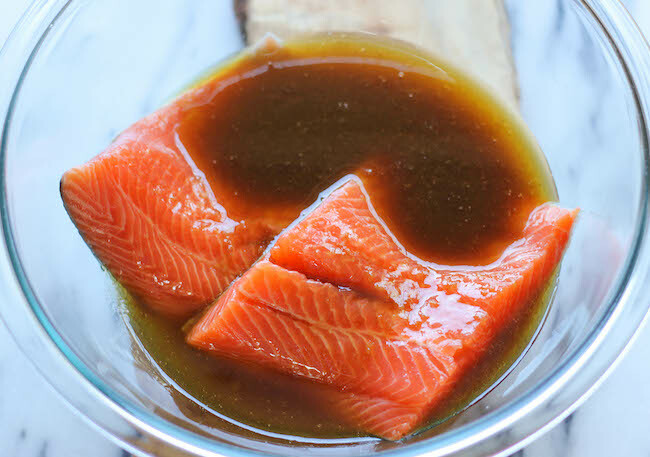 Like with this simple ginger marinade here, the salmon soaks up all of the amazing Asian flavors before it gets baked to flaky perfection. And then you finish it off with that sweet honey ginger glaze with a hint of spiciness from the Sriracha because as you know, I have to add Sriracha to everything! 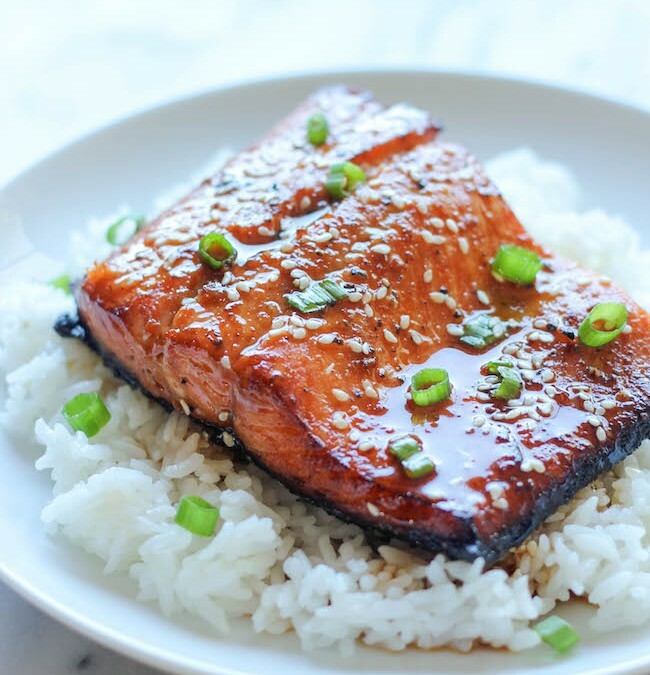 To make the glaze, whisk together honey, soy sauce, sesame oil, Sriracha, ginger and sesame seeds in a small bowl; set aside. Preheat oven to 400 degrees F. Lightly coat a 9x13 baking dish with nonstick spray.